Over the past 4 years, we’ve experimented with and expanded our show day social media plan, growing from just 233,000 impressions in 2011 to 1.53 million impressions on Twitter alone. Discover how applying a journalistic and storytelling lens to social media enhances the experience for folks. Spoiler alert: Treat Twitter as play by play, and Facebook as color commentary. 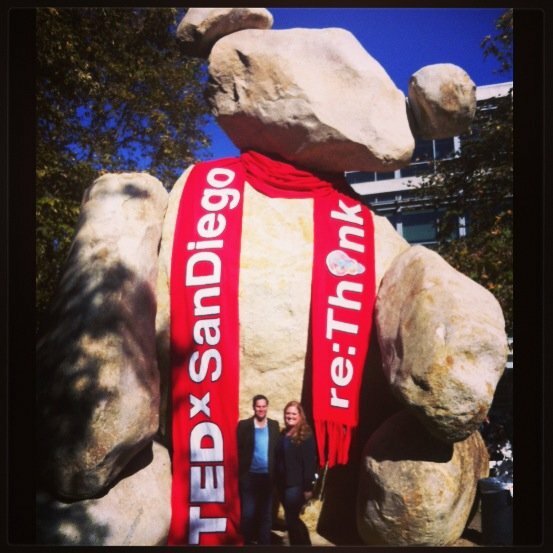 TEDxSanDiego began in 2010, with lite social media integration. We tested Backstage Chronicles photos, and they ended up being the most liked! In 2011, the team added a dedicated social strategist, and started rigorously experimenting and testing in social media. Now we’re giving away our social media playbook. Our approach: storytelling and journalistic. As social media folks. we’re there to give viewers a behind the scenes look they wouldn’t get anywhere else, and make people feel special and included. Just like you’d hire a photographer or invite the press to cover your event, having a dedicated social media strategist ensures all the months you’ve put into planning your TEDx event aren’t for naught. In this article, we’ll walk you through step by step how to plan for show day, what to do during the event on social media, and how to close the loop post-show. One person can do it all, but if you’ve got 2 people you can have one person live tweeting/blogging and one taking and posting pictures. In a dream world? 3 people: 1 posting, 1 taking pics, and 1 on the livestream. Grab a lightweight laptop for Facebook Admin rights and to set up your “home” station. Charge your phone (with camera). Download mobile apps for images and keep them easily accessible for show day: we recommend Diptic, Camera+, and Over. Pack a power cord for computer! Pack a power cord for smart phone! Get all passwords and admin rights 2 days prior to show day and go through a basic set up, making sure your tools of choice have autosaved passwords and are ready to go. Make sure you know who your on-site contact is in case there are any last-minute access issues (ex. wrong password). Ensure you’ll have Internet access prior to show day. Allows you to introduce yourself to the speakers and get their preferred social media handles. (We’ve found some like using their company handles, while others prefer their personal ones.) If you can’t get the social media handles, research ahead and have them available for the live coverage. During the speaker orientation I’ll say, “Hi, I’m Kara from the social media team, and we’re here to help you shine tomorrow by amplifying your message from the stage across social channels.” This helps put a name to a face, and when they see you on show day taking pics or scribbling notes they’ll know who you are. You can stake out your seat. (Hint: should have power outlets and be in the back of the event space so your screen doesn’t distract other attendees). And most importantly: listen to the speakers. As they practice their talk, listen for gems and write them down. This helps on show day so you don’t miss anything as they give their talk. It doesn’t make sense to copy and paste the same message across Facebook, Twitter, Tumblr, Instagram, or others. We treat Twitter as play by play, and Facebook as color commentary. You’re not there to transcribe the speakers word for word; your job is to paint a picture in broad strokes for folks. For tweets, we’ll average 1 to 5 per speaker (depending on their talk length). For shorter talks, we’ll do 1-2, for a full 18 minute talk it’s more like 3-5 quotes. Try to capture the sound bites that are great for retweeting, sharing, etc. We also will retweet others during the show; it’s a great way to engage the community and amplify others. On Facebook start a post for each speaker with some brief introduction and bio info then add some sound bites as comments to the post, varied from what is posted on Twitter. What are people talking about in social? Are there any relevant hashtags to your speakers? 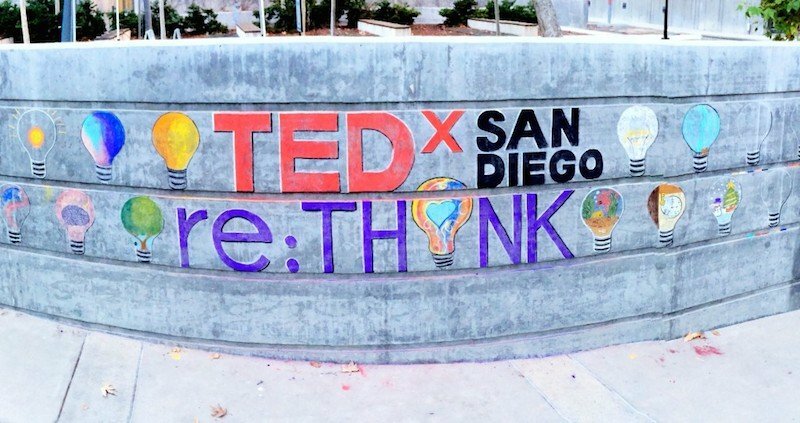 The week of TEDxSanDiego, there happened to be a lot of buzz around drones, and one of our speakers was talking about them, so we included #drones where appropriate. Type the quote/gem from their talk. Use 1 easily legible font (such as Helvetica Neue or League Gothic) in a color that contrasts with your background (white tends to work well). Then choose a word or part of a phrase to punch in a striking color and different font. Add speaker name in a lighter color (like grey) and put it below the quote. Add your event hashtag so folks know where the speaker is. In the beginning, it’ll take about 10-15 minutes to make each one. As you get comfortable with the format and process, it should only take you 3-5 minutes each. ProTip: Stick to one picquote per talk, and it should be the gem. In the event your camera phone craps out, it’s smart to have your livestream person taking screen shots along the way. 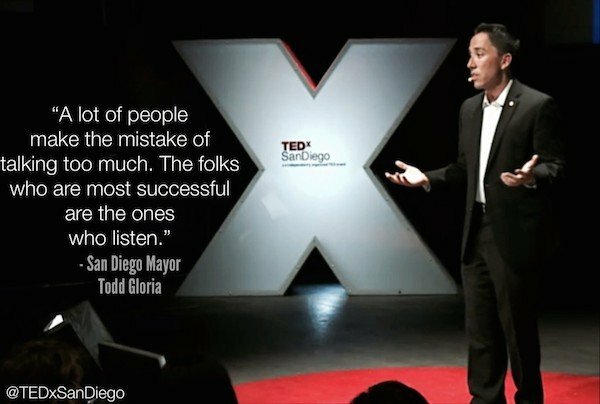 Take 2-3 per speaker, then email them to the entire team after each talk. Vary a close up shot with a wide shot that includes a lot of empty space — you’ll use this space to draw one of their quotes on. If you were brought in to cover the event (as opposed to being on the core team), here are a few templates to send to the organizer. 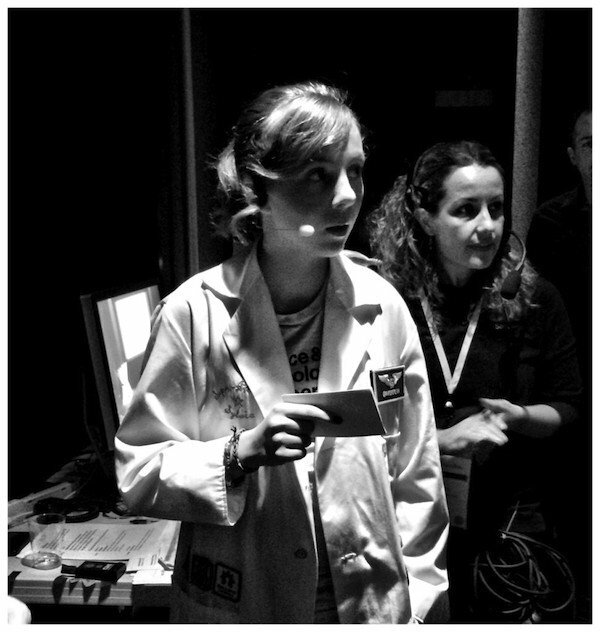 Thanks message: Thank you for the opportunity to cover TEDx(name). We had a blast, and will be sending out a wrap-up in the next week. Safety message: Thanks for trusting us. Know that we’ve deleted all of your passwords from our computers and that we will no longer be posting on your Page/Twitter account. For good measure, we always recommend our clients reset their passwords to social sites once a month anyhow to avoid hacking, spam, and other foul play. The key in all of this: be authentic. To your speakers. To your show. To your audience.